Uncover the Orient. Visit the Great Wall. Admire Terracotta Warriors. 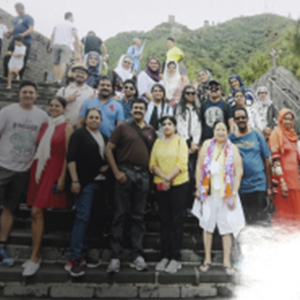 Understand Chinese culture with AFC Holidays. All inclusive package. Among the most fascinating of all countries in the world, China stands apart. 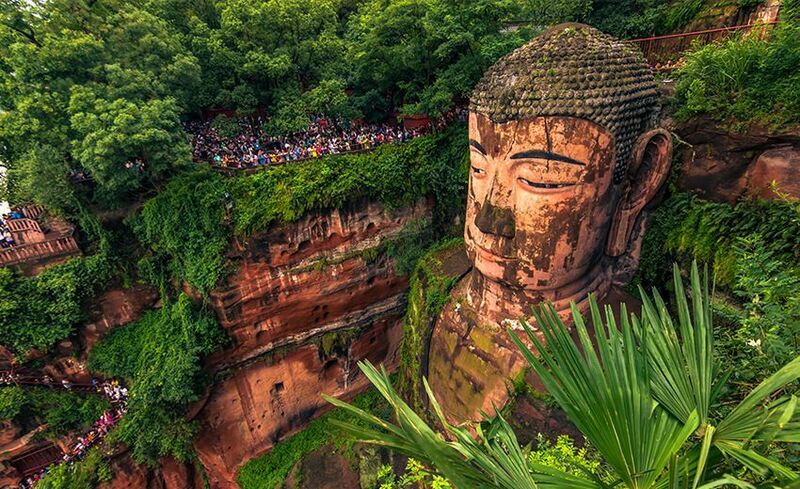 Everything here is jaw-dropping, be it the Great Wall of China or the fast trains, sky scrapers or the Terracotta Warriors, food or shopping, the sheer scale and magnitude will blow your mind. China’s history can be traced back to 3rd millennia and much of those evidences can still be found intact. 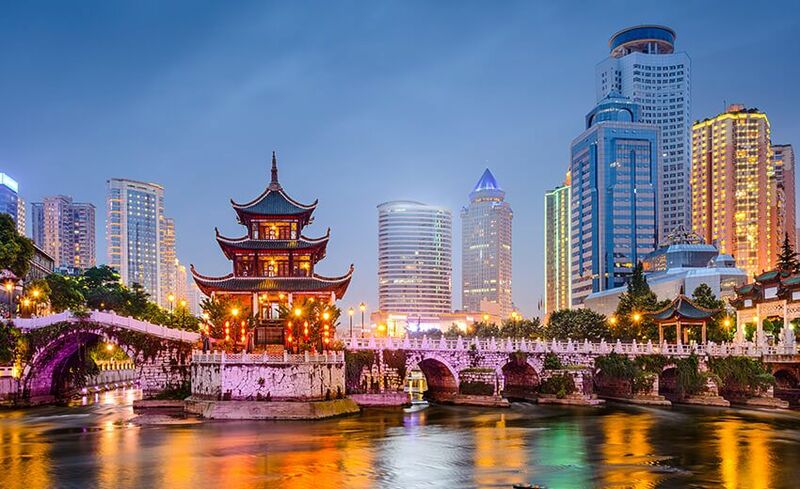 China has it all - snowy mountains, deserts, rivers and valleys, amazing food and great shopping. Welcome to Beijing, China’s cosmopolitan capital. You will arrive at Beijing Capital International Airport, complete your immigration process and say hello to your tour manager. Proceed to your hotel for check in. Once you have rested enough, go out and explore this fascinating city on your own. Return in time for your welcome dinner. Overnight in Beijing. Greet the morning with a breakfast spread at your hotel. Today is an exciting day indeed. 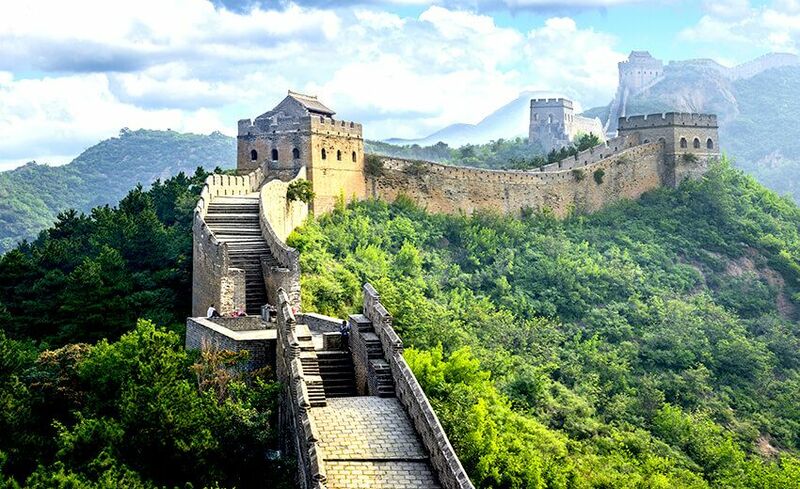 On the half day tour of Beijing you are going to see some of the finest examples of Chinese history. Begin with a visit to Tiananmen Square, one of the biggest Squares in the country. This is definitely going to be the biggest memories of your trip! The daily sunrise ceremony takes place at the flagpole on the northern end of Tiananmen Square. Tiananmen means Gate of the Heavenly Peace. Plenty of food and drink option can be had here – plus a lot of souvenir sellers. Next, proceed to the Forbidden City, one of China’s most well-preserved heritage sites and a must see for visitors to Beijing. The Forbidden City has over 90 palace quarters, 8700 rooms and 980 buildings. The Forbidden City also has the world’s largest collection of medieval wooden structures. Not only is the scale of it is impressive, but the details of the architecture are mind-blowing and reflects the rich Chinese culture. Go onward to the Silk Factory to get an overview and idea of where all your lovely soft silk comes from! Yes, China has some of the finest silks in the world, tradition that can be traced far back in history. Head out for a well-deserved lunch before your next stop for the day – The Summer Palace. 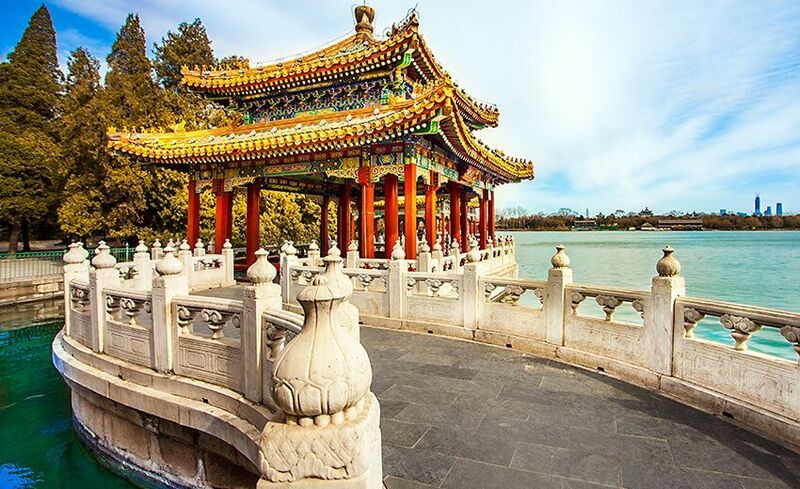 The Summer Palace is the best preserved imperial garden in the world, and the largest of its kind in China. You will feel as though you are walking through another world. The landscaped gardens, pavilions, temples are designed to be in harmony with nature. The gardens are extremely magnificent, no matter what season you come here. The Summer Palace is a UNESCO World Heritage Site and harmonizes all elements of nature to produce something so spectacular. Return to your hotel. If you wish, you can join us on the Optional Tour of the Golden Mask Show beginning at 5.30pm (which includes dinner as well). Overnight in Beijing. Good morning! Prepare yourself for a full day tour with a sumptuous breakfast. 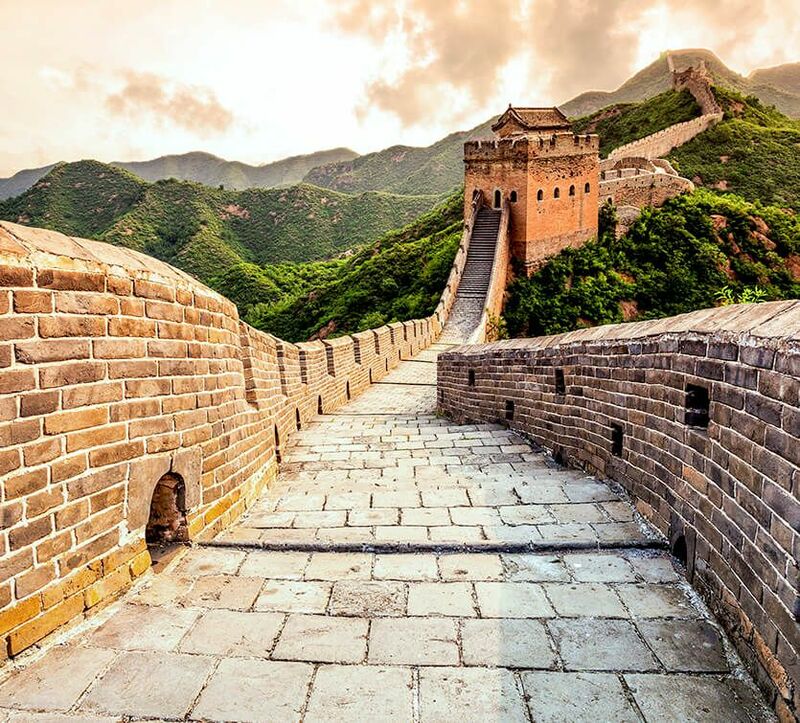 Make sure your cameras and fully charged – because you are going to see one of the Greatest Wonders of the World – The Great Wall of China. After breakfast, first proceed for a tour of the Jade Factory. In China, jade is considered to be scared. Watch the craftsmen expertly turn jade into pieces of lovely jewelry. Here you have a chance to buy a jade souvenir too! 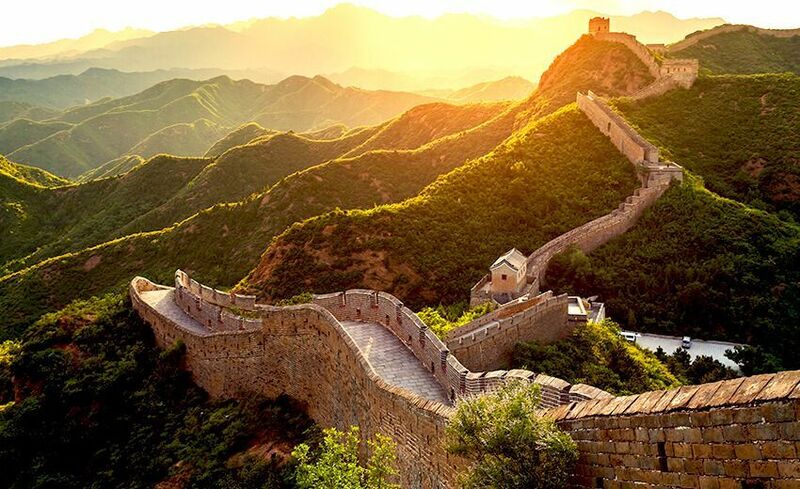 Next, proceed to the Great Wall of China at Juyong Pass – something you surely have been waiting for. Juyong Pass is one of the three most renowned passes on the Great Wall. This stretch is a solid structure encircling the valley and was once considered impregnable. You can see many temples, old structures and towers alongside the Wall. Climb the stone steps to the top for a once-in-a-lifetime experience of walking on the wall, which was first built in 770-476 BC. The widest part of this section of the Wall measures 17m and consists of two gates located at the north and south end of it. Make sure you see the Cloud Platform made of white marble, at the centre of the Pass. After you have walked the wall to your heart’s content, head for your next photo stop at Bird’s Nest and Water Cube. The Bird’s Nest was the venue of the Olympic Games in 2008 and 4 years to complete construction. Today it is the largest steel structure in the world and a popular tourist attraction. Continue your tour to the Xiushui Market, which one of Beijing famous shopping malls. It is not only a famous symbol of Beijing City, but also the best place to shop for silk. You have some free time here to indulge to your heart’s content. Remember to haggle over the price – it is acceptable here. You will be amazed at the sight of rows and rows of delicate silk on display. There are over one thousand retailers – which makes this market as popular as the Peking roast duck! Proceed to the restaurant for dinner, which is of course, included. Transfer back to the Hotel. Overnight in Beijing. After breakfast at your hotel, check out and leave for your next destination Xian, by train. In China, train journey is an altogether delightful experience. 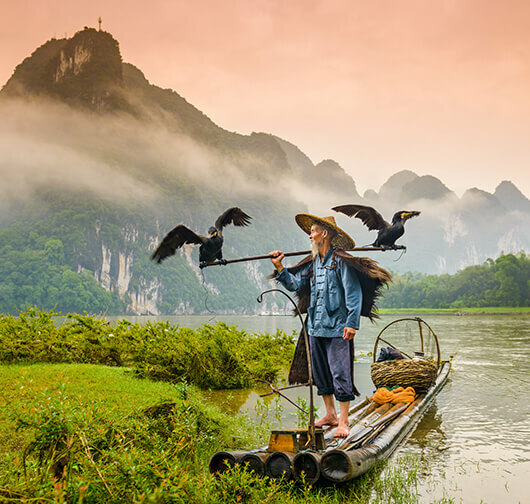 Your train journey to Xian will take six hours but you are going to love the beautiful and immense Chinese countryside and the train speeds through. You will see miles and miles of wheat, rice and corn swaying in the breeze, ready for the picking and before you know it, you have arrived at Xian. Meet your guide outside the station and continue onward for your dinner. 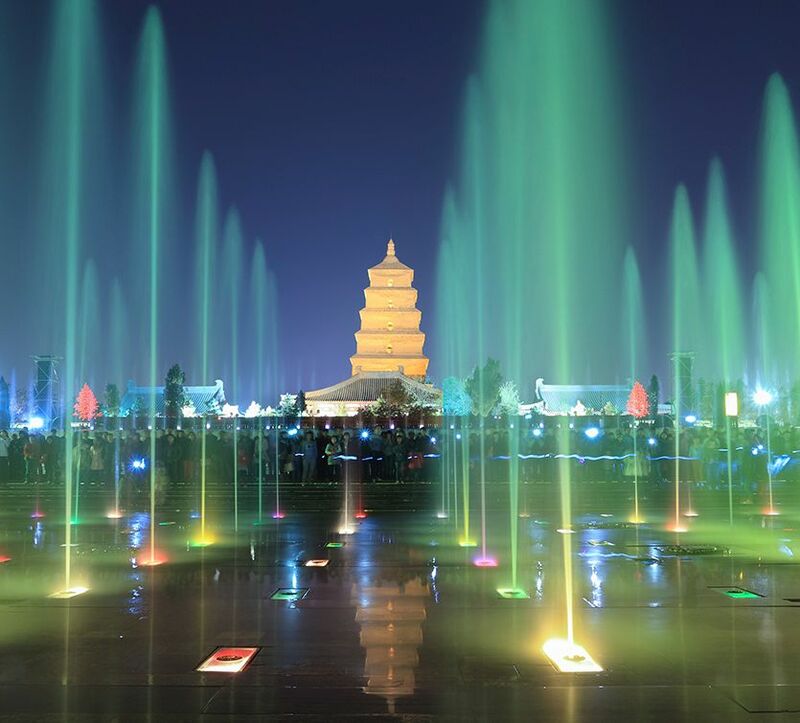 Next, it’s time to enjoy the beautiful sights of Xian, beginning with the Big Wild Goose Pagoda Square & Fountain. Located inside the Daci’en Temple, this 7-storey Pagoda is the best place to learn about the influence of Buddhism on Chinese culture. It is believed to have been built during the Tang Dynasty (618-907). It is also the home of the largest musical fountain in Asia. 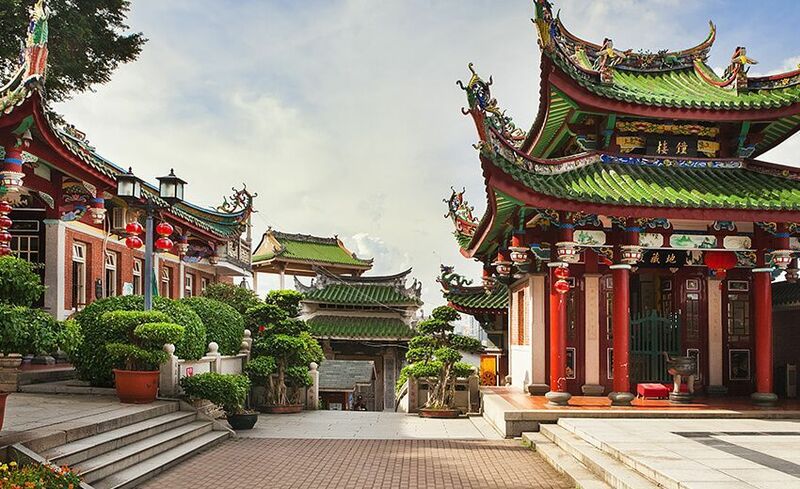 Beautiful gardens, valuable artifacts and beautiful buildings dot the Temple grounds. In the evening, the entire place is lit up, making for a beautiful sight. Transfer to the hotel for your check in. Overnight in Xian. Good morning Xian! Be ready for a full day of activities today. Dig into a delicious breakfast spread and leave on a coach your tour beginning at the Crockery Factory and see for yourself how delicate porcelain is made. There are all sorts of ceramic figures here (plus you can get replicas of the Terracotta Warriors). This gives you an insight and understanding into the flourishing ceramic and pottery trade in the country. After this, proceed to another magnificent site of the Terracotta Warriors. Here you will see rows and rows of life-size Terracotta Warriors and horses representing a battle –formation. After its discovery, it became one of the most significant archaeological excavations and is currently a UNESCO World Heritage Site. This site is believed to be over 2,000 years old. There are three important ‘pits’ in which stand exquisite clay warriors, horses, generals and military officers, almost as if they are alive! Stop for lunch and later head to the Muslim Quarter, considered to be the heart of the Muslim community in Xian. Over 20,000 Muslims live here and you can experience a completely different culture and food. There are over ten mosques here, and the most popular of them all is the Great Mosque, the largest in China. You have some free time on your own here. As you walk through the crowded and vibrant streets packed to the roof with colourful and traditional wares, you will see a side of China you didn’t know existed. Visitors throng to this side of town for delicious food and souvenirs. Don’t forget to try some street food – but be warned that it can be extremely hot! After this, head out for dinner and transfer back to the hotel. 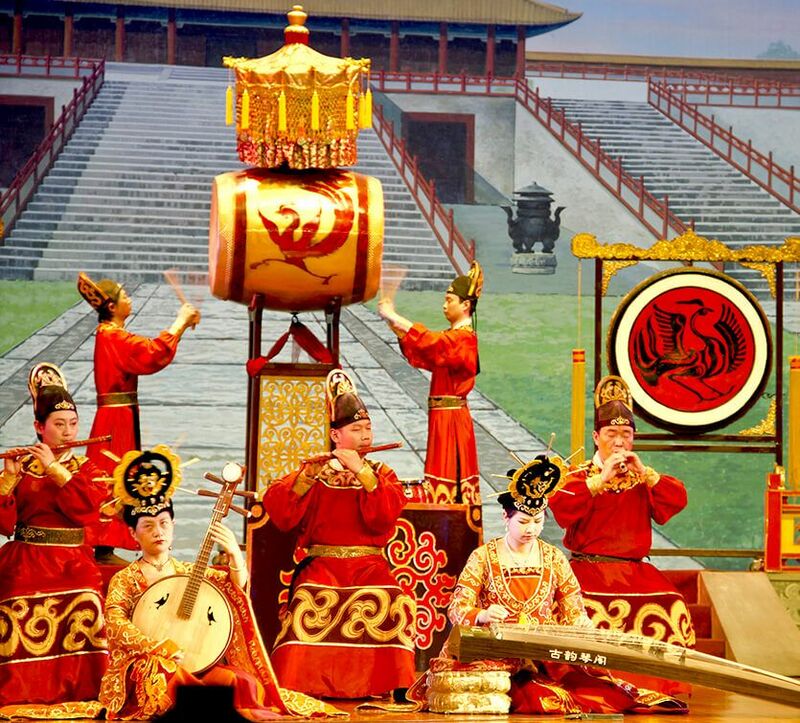 If you wish you can join the Optional Tour of Tang Dynasty Show that will last for one hour. Overnight in Xian. Good morning. Enjoy your last breakfast in Xian. Check out and proceed for another exciting train ride to the Shanghai, the country’s biggest cities. This high speed train ride will take you 7 hours to reach your destination. 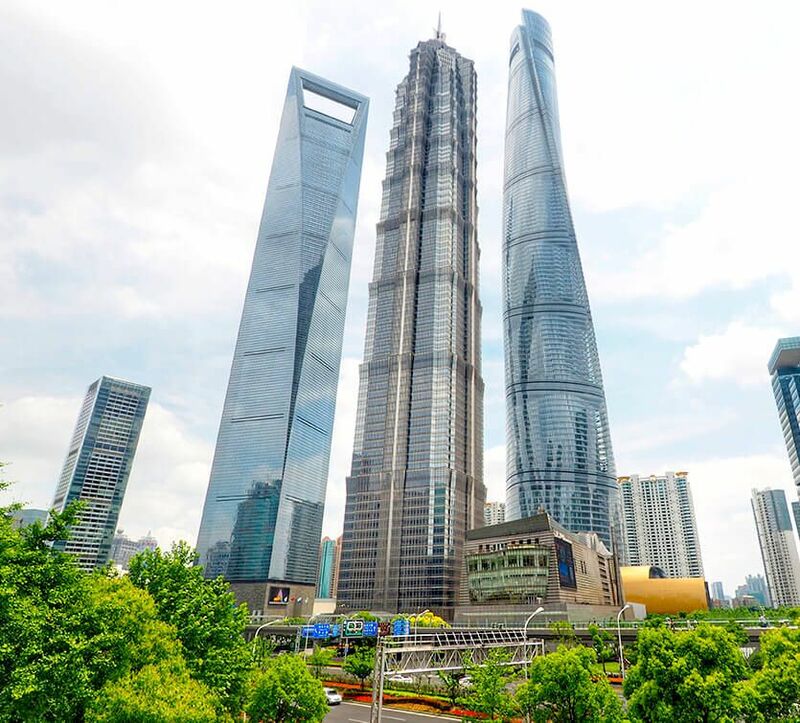 Welcome to Shanghai, the hub of global finance, so easily identifiable by its futuristic skyline that includes the 632m Shanghai Tower and the Oriental Pearl TV Tower (remember the pink spheres?) By the way Shanghai translates into “Above the Sea” – you can see why. As soon as you arrive, meet your tour guide outside the station and proceed for dinner. After this, proceed to your hotel for check in. If you feel up to it, step right out of your hotel and get lost in the pulse of the city. As you can imagine, there is hardly a moment of non-activity here – you are after all in Shanghai! Overnight in Shanghai. Good morning Shanghai! Have a fill of the sumptuous breakfast in preparation for the exciting day ahead. Today you will go on a half-day guided tour of the bustling Shanghai. As you drive through, you might find it hard to believe that it was once a fishing village! Today’s Shanghai is a sprawling, ultra-modern city with the best of everything. Your tour will begin with a visit to the Jade Buddha Temple which was in the 1928 to house two jade Buddha statues that were brought from Myanmar (Burma). Despite being located in the bustling part of Shanghai is extremely calm and peaceful. The two statues – The Sitting Buddha and the Recumbent Buddha) are considered to be rare cultural relics and carved with white jade. You will be amazed with the peace you will experience just being here! After this, proceed to the Pearl Factory to see the famous Shanghai Pearls. Yes, be prepared to be awed by delicate pieces of pearl jewelry that made this once sleepy village famous! Understand the process of pearl cultivation and see how these beauties are curated. Refuel yourself with a delicious lunch after which you will proceed to Bund area – Shanghai’s spectacular waterfront area. It is also called the Living Museum of buildings - here you see the buildings of various styles, from Gothic, Baroque to neo-classical. Whether you are a lover of history, photography or just amazing sights, this is the place to go. It is said you haven’t seen Shanghai if you haven’t visited The Bund. Simply walk around to absorb the vibe of this pulsating city. After this head to Nanjing Road for some shopping before going up the 420.5m tall Jinmao Tower (88th floor) to enjoy the spectacular views of the city. In the evening when the city lights up, you feel as though you were looking down into a twinkling fairyland! Here you can literally Walk In The Clouds through the 60m long skywalk made of glass (sounds thrilling, right). Admire the sweeping views of the Huangpu River. Proceed to dinner and return to your hotel for the night. 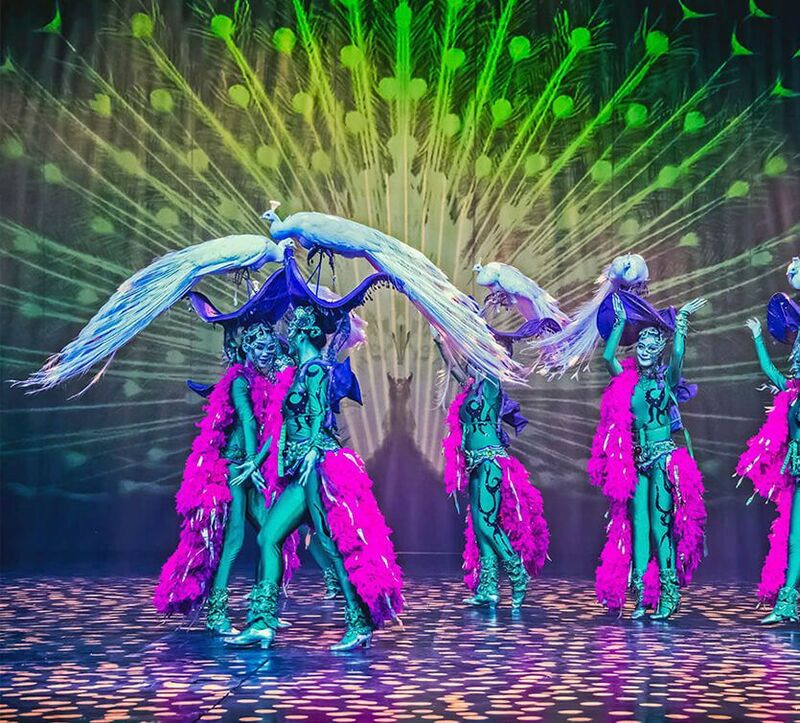 You can opt to go on an Optional Tour of the Acrobatic Show or continue exploring Shanghai on your own. Overnight in Shanghai. Enjoy your last breakfast in fascinating China. Checkout and head out to the airport for your return flight home.